Electric cars can drift, perform risky maneuvers and get up on two wheels too. And no, not every story on plug-ins has to be serious, sometimes its good to just kick back and enjoy something...uh, different. A stunt show featuring purely electric cars thrilled spectators on Sunday (June 18) around China's largest lake. 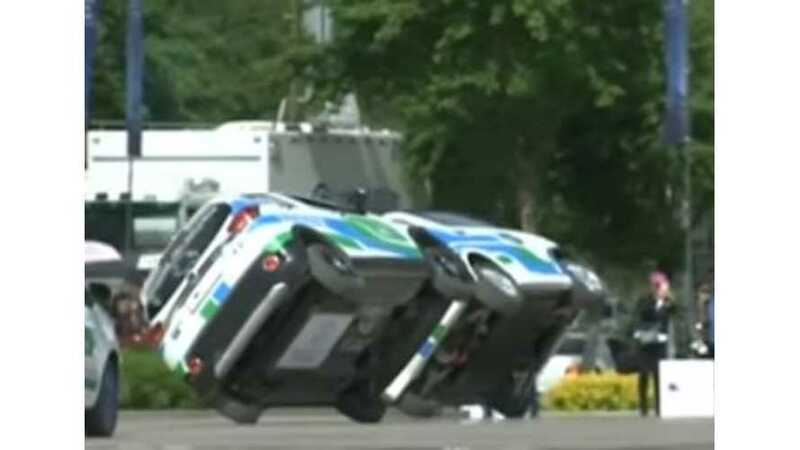 Six different types of electric cars performed various risky maneuvers including drifting, reversing tricks and driving on just two wheels.